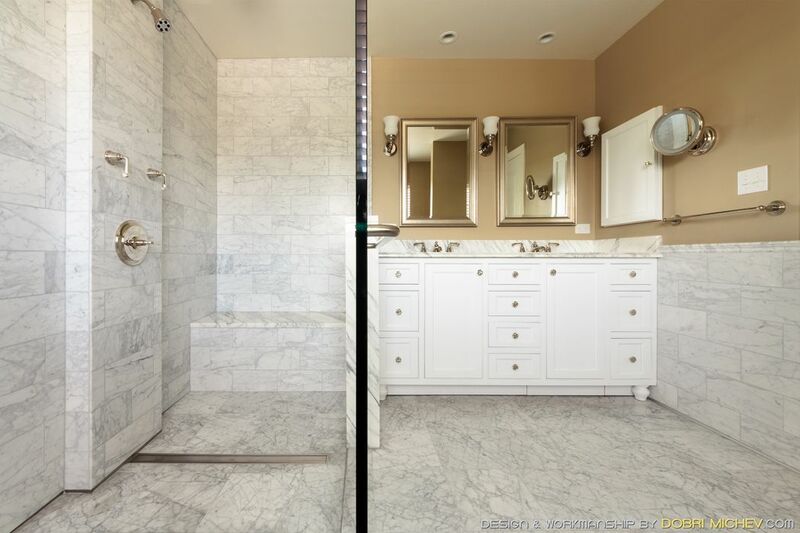 The KERDI-BOARD finds another area of use here where it has been built out to house a faucet feature wall, making an impact and defining the shower area. 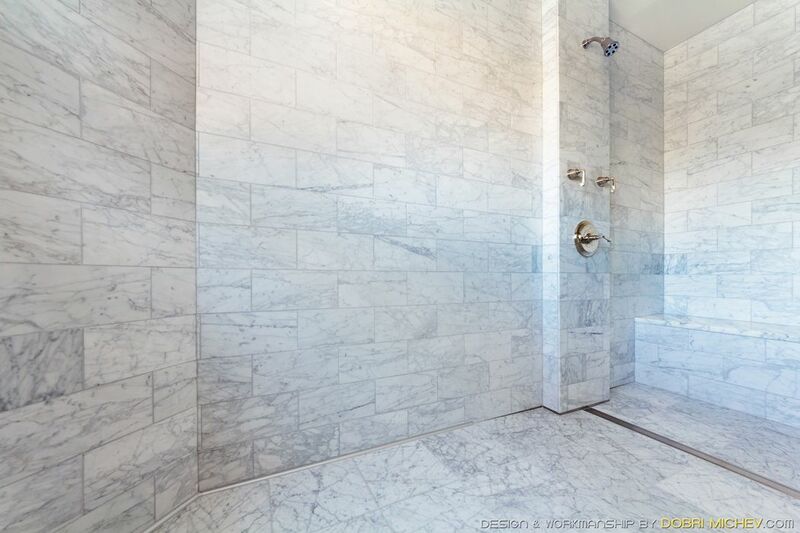 The SHOWERPROFILE-S is a tile installation dream against this marble backdrop. 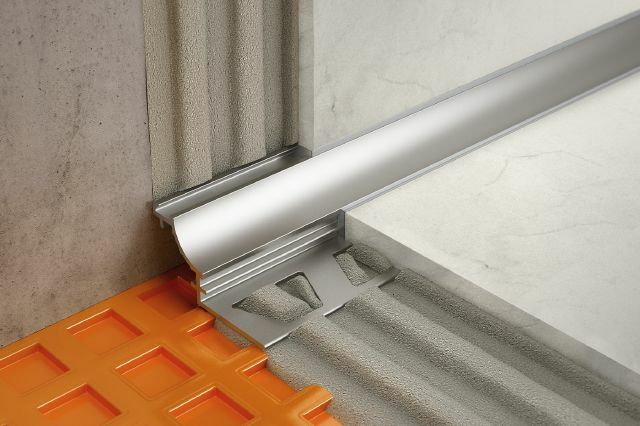 The SHOWER-PROFILE-S is adaptable to simplify the typical cutting of tile when dealing with the slopes of a curbless installation. 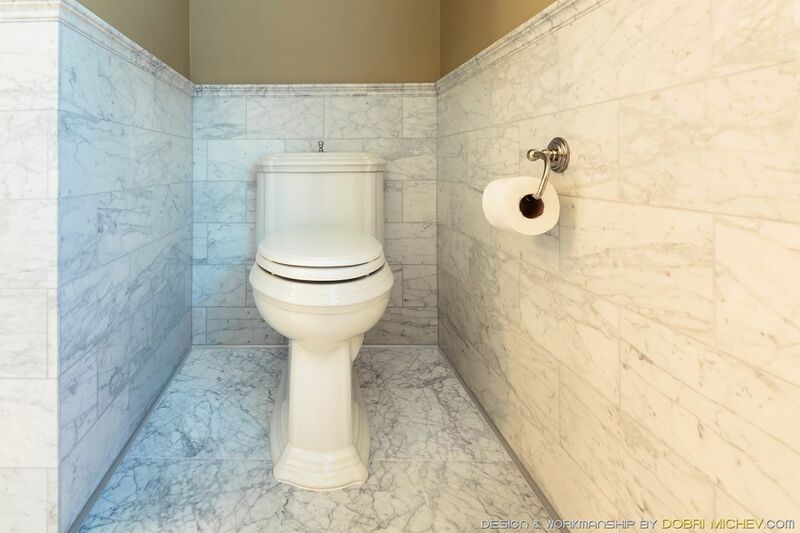 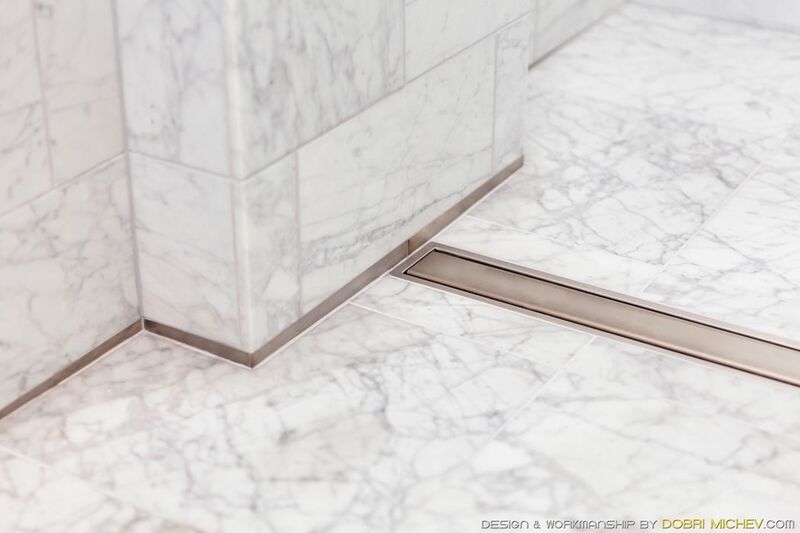 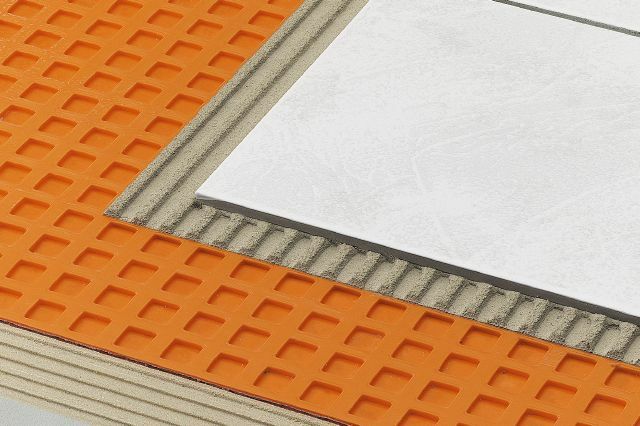 Framing and complementing a well chosen marble tile, the DILEX-AHK connects the floor to wall transition maintaining the inside corner's integrity and keeping regular maintenance simple. 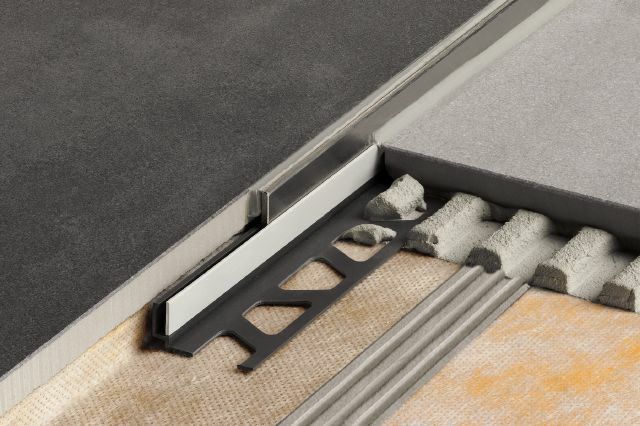 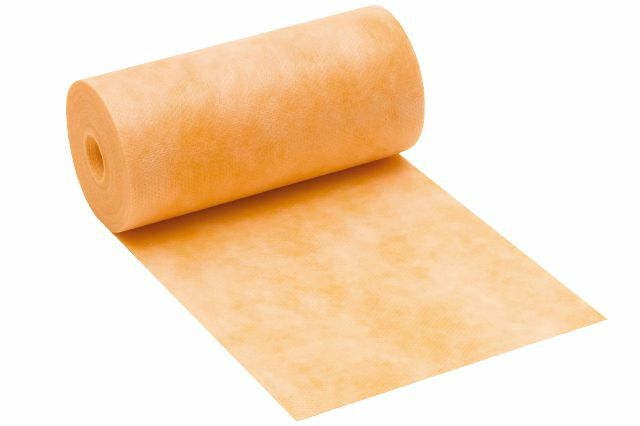 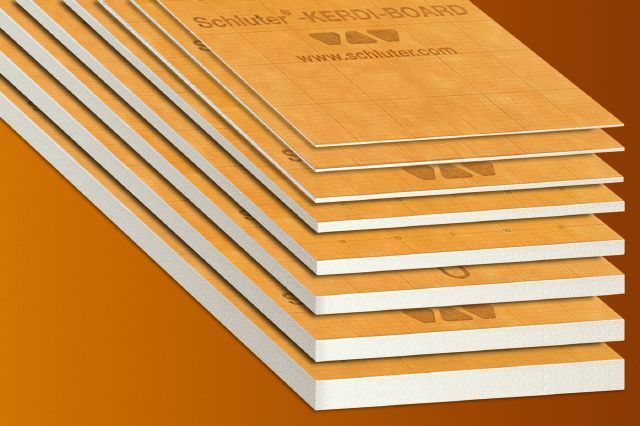 The DILEX-AHK inside and outside corners at 90° and 135° are connecting to the DILEX-AHK profiles, creating a seamless transition between wall and floor. 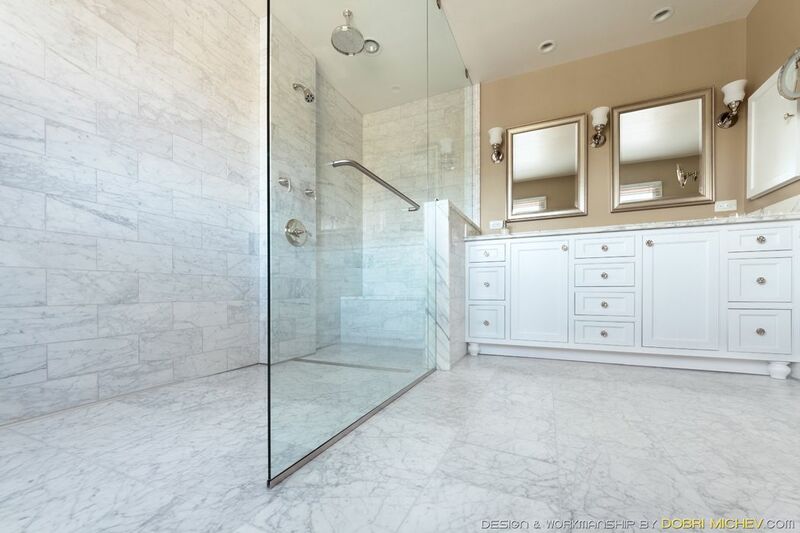 KERDI and DITRA together with KERDI-BAND are used to waterproof this curbless bathroom.